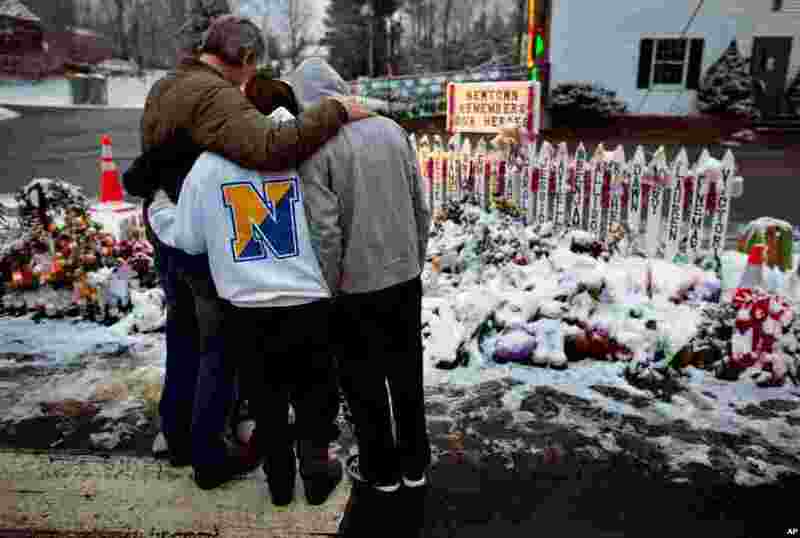 1 Members of the Rutter family embrace early Christmas morning as they stand near memorials by the Sandy Hook firehouse in Newtown, Connecticut, December 25, 2012. 2 A man touches the snow covered grave of six-year-old Ana Grace Marquez-Greene, one of 20 schoolchildren killed in the December 14 shootings at Sandy Hook Elementary School, at the Newtown Village Cemetery, Connecticut, December 25, 2012. 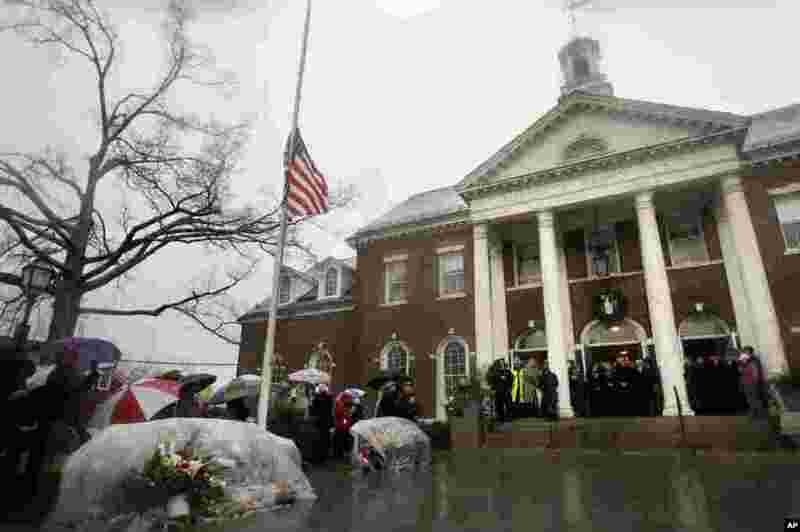 3 Officials including Connecticut Governor Dan Malloy observe a moment of silence on the steps of Edmond Town Hall while bells ring 26 times in Newtown, Connecticut, December 21, 2012. 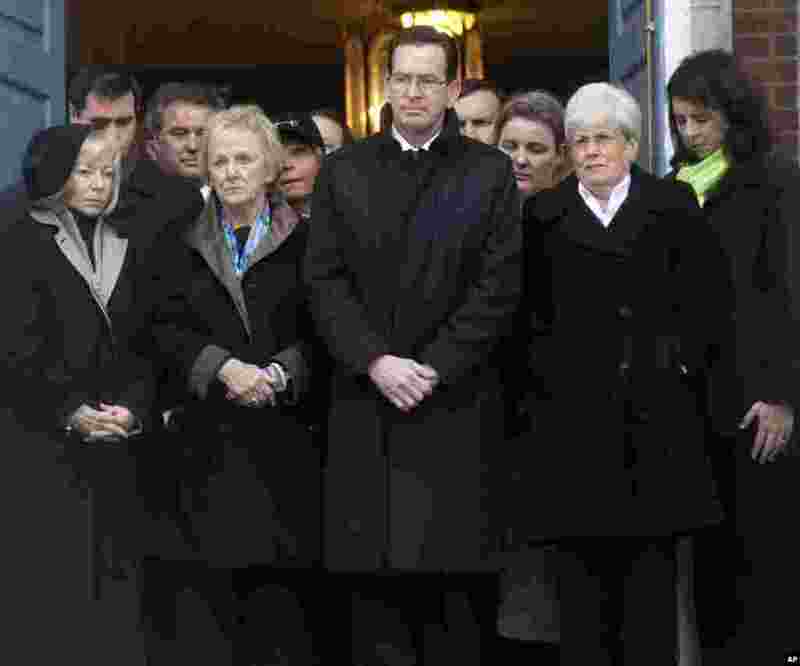 4 Connecticut Governor Dan Malloy, center, stands with other officials to observe a moment of silence in Newtown, December 21, 2012.